The Whites began the following season of 1965-66 ‘on fire’, winning five of their opening six fixtures to top the table, with Alan Peacock in red-hot form, scoring four goals in just three games. Revie also started fielding a young Scottish striker called Peter Lorimer, who bagged his first goal in a 2-1 win over Nottingham Forest. Their form was so good that by the time Italian giants Torino came to West Yorkshire for the First Round first leg game in the European Inter-Cities Fairs Cup (which would later be renamed the U.E.F.A. Cup), Leeds sat in 2nd place in the league table, having lost only twice. The Italians were beaten 2-1 at home, but the return leg in Turin (which ended goal-less) would be remembered for a horrendous leg injury suffered by veteran forward Bobby Collins, an injury which effectively ended the Scot’s career in top-flight football. It was also a tough blow for Revie, who knew he would miss Collins’ vast experience and leadership in the team. Revie acted swiftly to sign Huddersfield Town left-winger Mike O’Grady, and also promoted another young Scot from within the club ranks, Eddie Gray. The side continued to win many more games than they lost, with crowds at Elland Road rarely falling below 35,000. A handsome 3-0 win over local rivals Sheffield Wednesday on New Year’s Day 1966 moved the team up to fourth position, a place they still held when Spanish giants Valencia came calling for the Third Round first leg game in Europe on 2nd February- and it would be a game to remember! By now Leeds United had started to earn a reputation in England as a side who would literally do anything to emerge victorious, including reverting to the ‘dark arts’ if the occasion called for it…and so was born the tag “Dirty Leeds”. It was a derogatory name given to them by rival fans who didn’t like to see their own players ruffled and kicked by the likes of Bremner, Giles and Hunter. Indeed, Norman had acquired the nickname “Bites Yer Legs” Hunter, affectionately given to him by the Leeds fans…. but as many opposition forwards found to their cost, a VERY accurate nickname, too! What people may have overlooked is that this trait was very much in keeping with the manager’s mindset- his players were simply a reflection of the man himself. Don Revie was extremely single-minded and goal-orientated… anything that was necessary to win a game should be done to achieve than aim- anything. If other teams and their managers didn’t like getting ‘roughed up’, too bad. Some pundits felt that Leeds United’s overly physical approach during some games was a betrayal of an unwritten code of conduct in the professional game that stated that you should respect your opponents enough to accept defeat if they played better football than your team did on a particular day. Don Revie was having none of that nonsense. That the ‘devils’ came dressed in all-white probably only added to the anger and resentment felt towards Revie’s team by both opposition players and fans alike. Leeds could play great football if the occasion allowed it, but they could also kick and shove like savages if necessary. On this particular evening, Valencia came looking for a fight…and probably got a lot more than they bargained for! Police officers had to scramble onto the pitch to separate warring players as the game spiraled rapidly out of the Dutch referee’s control after half-time. Punches were traded, the referee ordered both teams off the pitch to cool down and when the dust settled, Leeds were reduced to ten men (Jack Charlton dismissed for almost literally ‘losing his head’ and chasing one of his Spanish opponents around the penalty area in an attempt to use his face as a punchbag! 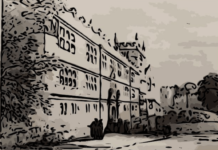 ), while the Spaniards were eventually reduced to nine men in a disgraceful affair. The game ended in a 1-1 draw, Lorimer scoring for the hosts, but Valencia had won the trophy in 1962 and 1963, and lost the Final in 1964, and were rightly heavily fancied to win the return leg in Spain. They didn’t. On the night, in a game which was played in a much more sporting manner than the previous leg, Leeds United scored the only goal through O’Grady to progress to the next Round. The European adventure would continue, but the F.A. Cup one had ended with a 1-0 defeat to Chelsea in the Fourth Round. In the league, the Whites continued to challenge at the top, but two surprising back-to-back defeats to mid-table Blackpool at the end of March dropped them down to 3rd place, and despite only losing twice more in domestic competition, they couldn’t catch Bill Shankly’s superb Liverpool team, who ended up winning the title by six points. Leeds United were runners-up for a second season in a row. In Europe, they overcame skilful Hungarians Ujpest Dozsa 5-2 on aggregate to meet another Spanish team, Real Zaragoza, in the Semi-Finals. Zaragoza were a formidable attacking side who sometimes played a 3-2-5 formation(! ), yet they could only manage a 1-0 win in Spain thanks to a penalty, and so it was all to play for in the return leg at Elland Road on 27th April. On the night, with literally the whole season hanging on the result, Revie’s men put on a gritty display to win 2-1, Charlton heading the winner. That set up a play-off decider game, which was to be staged at Elland Road on 11th May after Leeds won the coin-toss for venue. Again, however, as would haunt them time after time in years to come, Revie’s Leeds United team froze on their biggest stage. Whether due to nerves or simply taking too long to get going, it mattered not. Real Zaragoza started the decider in top gear, and were 3-0 ahead after only 15 minutes; game over. Jack Charlton did manage to reduce the arrears by one, but the season once again came to a close in a very disappointing fashion for the Whites boss and his players. Jack Charlton- A World Champion! During the summer, one Leeds player, big Jack Charlton, did have an occasion to remember! Jack was an integral member of the England squad, under boss Alf Ramsey, which managed to win the World Cup on home soil, famously beating West Germany 4-2 in the Wembley Final. Charlton played like a man with much more experience at international level than he actually had, partnering one of the world’s greatest ever centre-halves, Bobby Moore, as England wrote their names in the history books. Will Leeds United Ever Win Anything? For his part, Don Revie faced season 1966-67 with a new question being posed of his squad: were they good enough to actually win a trophy? The manager had faith in his largely youthful squad to prove the critics wrong, though an indifferent start to the season, which witnessed a lot of drawn games, certainly put the fans’ faith to the test. Successive heavy away losses at West Ham United (0-7 in the League Cup) and Liverpool (0-5 in Division One) in late November had the press talking of a crisis at Elland Road, but the players seemed to learn the lessons from the defeats, never conceding any more than two goals in any game for the remainder of the season. The team acquired a reputation as overly defensive and ‘hard to watch’ at times as the season wore on, but while that may have been occasionally true, it made them extremely difficult to beat. Such a trait was very handy when it came to knock-out cup competitions, and it was therefore of little surprise that Leeds made good progress, both in the F.A. Cup and the Inter-Cities Fairs Cup. In the latter competition, they had once again come up against their Spanish ‘friends’ Valencia in Round Three; however, there was none of the previous season’s drama as the Whites progressed 3-1 on aggregate, which included a very accomplished 2-0 win away in the Mestalla Stadium thanks to goals from Giles and Lorimer. Domestically, they easily defeated Crystal Palace and West Bromwich Albion to set up a Fifth-Round F.A. Cup tie at Sunderland. That game ended 1-1, as did the replay at Elland Road. Those two games witnessed extraordinary attendances of 55,763 and 57,892 respectively, the latter a new record attendance for Leeds’ ground. Indeed, at one point during the match a crush barrier collapsed, causing people to spill onto the pitch, delaying the game for some minutes. Unfortunately, the lessons which should have been learned by the authorities regarding crowd safety at big football matches in Britain from such events were not learned at all. A few years later 66 fans would be killed after stair railings collapsed at Ibrox Park in Glasgow during an ‘Old Firm’ match between Rangers and Celtic. We all now know what would happen at Hillsborough, Sheffield in April 1989- the worst tragedy to ever strike British football, with 96 innocent people needlessly losing their lives due to the utter incompetence of those charged with keeping them safe as they enjoyed a day out supporting their football team. Leeds won a second replay against Sunderland, 2-1 at Hull City’s Boothferry Park, and then overcame Manchester City 1-0 in Round Six to seal a Semi-Final date with Chelsea at Villa Park. In the meantime, they had also progressed to the latter stages of the European competition in bizarre fashion. Their two-legged tie with Italians Bologna had ended in a 1-1 stalemate after extra time, but instead of taking penalties, the tie was decided by a coin toss, which went Revie’s way! Yet again, though, fates (and the officials) conspired against Revie at Villa Park in the F.A. Cup Semi-Final. Trailing Chelsea to a first-half Tony Hateley goal, Leeds threw everything at the Londoners in the second half, and thought they’d equalised when Terry Cooper scored from a Bremner flick-on with seven minutes remaining- only for the young Englishman to be flagged marginally off-side, something Cooper has always protested vehemently since that day was an incorrect decision by the officials. Minutes later, and still angry about the offside decision, the Whites won a free-kick on the edge of the Chelsea area. Thinking quickly, Johnny Giles rolled the ball to Peter Lorimer, who hit a screamer into the top corner past Peter Bonetti; however, as he turned away to celebrate, Lorimer was astounded to see referee Ken Burns disallowing the goal, as the Blues wall hadn’t retreated a full ten yards before Giles took the kick! Despite fierce protests from the Leeds players, Burns refused to reverse his decision, and consequently Leeds United went crashing out of the Cup in dramatic and controversial fashion. So in order to be able to claim the season as a success, Leeds United were going to have to win a European trophy. Their opponents in the Inter-Cities Fairs Cup Semi-Final were Scottish outfit Kilmarnock, whom they duly crushed 4-2 on aggregate, reserve striker Rod Belfitt grabbing a hat-trick in the home leg. Unlike in later times when the U.E.F.A. Cup Final would be a one-off game staged at a neutral venue, the Inter-Cities Fairs Cup was decided by a two-legged ‘final’ in the late 1960s, and so Revie would have to take his side to Zagreb to face an unknown quantity in FK Dinamo in the first leg. The first of those deciders, however, wouldn’t be played until late in August 1967 due to fixture difficulties for the Yugoslavians, which would be after the new domestic season in England had already begun! 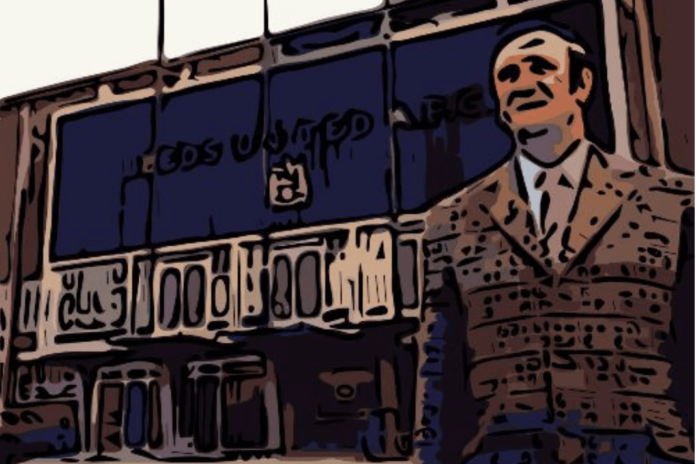 Join me again in the next part of this look back at the career of Don Revie to see if he was able to claim his first major silverware as Leeds United boss….